Invented in 1906 but not released until 1911, the Colt M1911 is a time honored favorite in the United States. 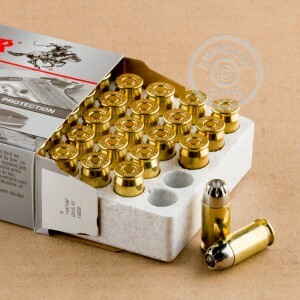 For over one hundred years, the 45 ACP cartridge has provided a phenomenal option for self defense for both military and civilian applications. 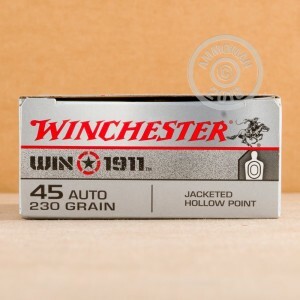 If you are looking for a great round to defend yourself with, Winchester has you covered. Since 1866, Winchester has earned the experience and reputation that they have in the firearms and ammunition industry. These Winchester Win 1911 rounds are specifically designed to function perfectly in your 1911 or any other 45 ACP firearm. Featuring 230 grain jacketed hollow point projectiles, these rounds have the mass, expansion, and stopping power you need to defend yourself. Good news! At AmmoMan.com all orders over $99 wil ship for FREE! 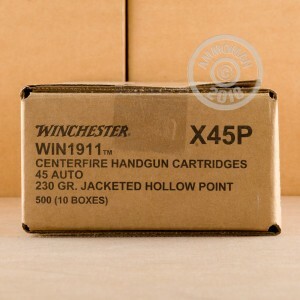 So order this case of premium 45 ACP ammunition and the shipping is on us!